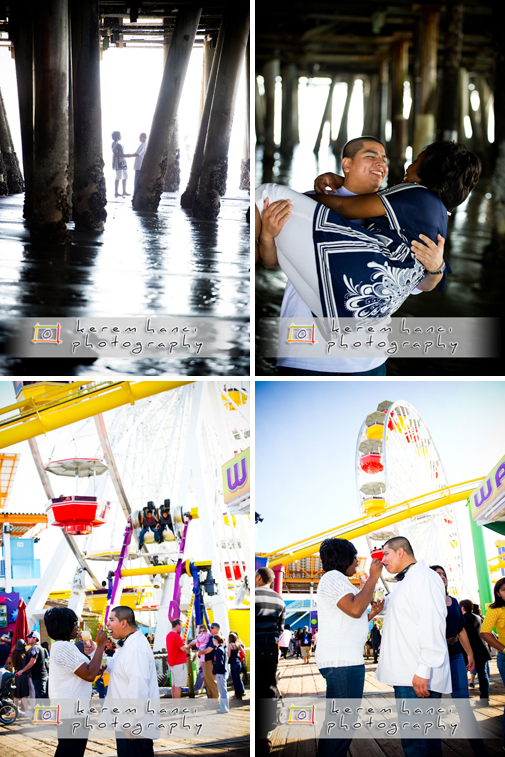 I met a wonderful couple last Saturday to shoot their engagement session in Santa Monica. 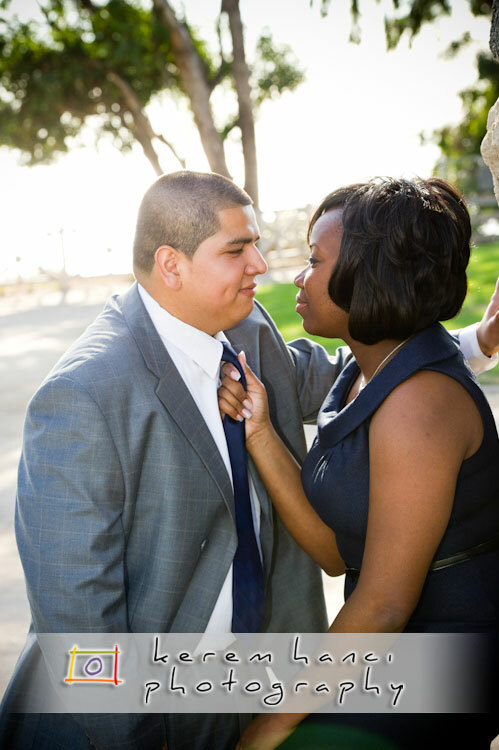 Ke'Shae and Julio has been together for 6 years and they decided to get married. 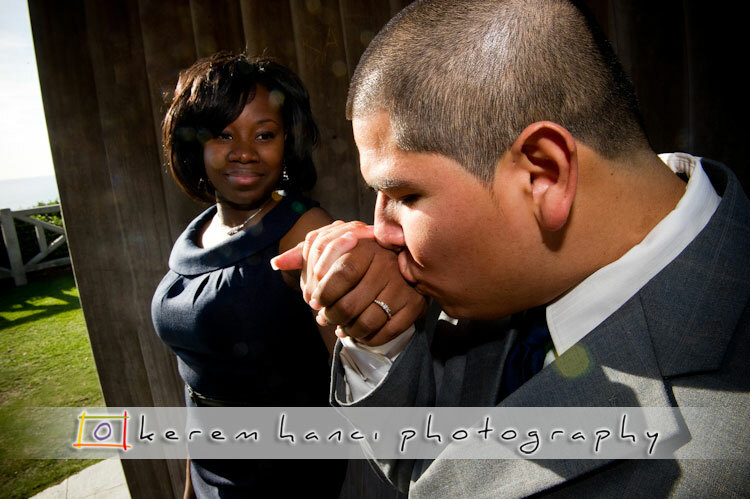 I was so happy they found me to document their engagement and their wedding. Look at these big genuine smiles! We started with a very casual yet beautiful setting. 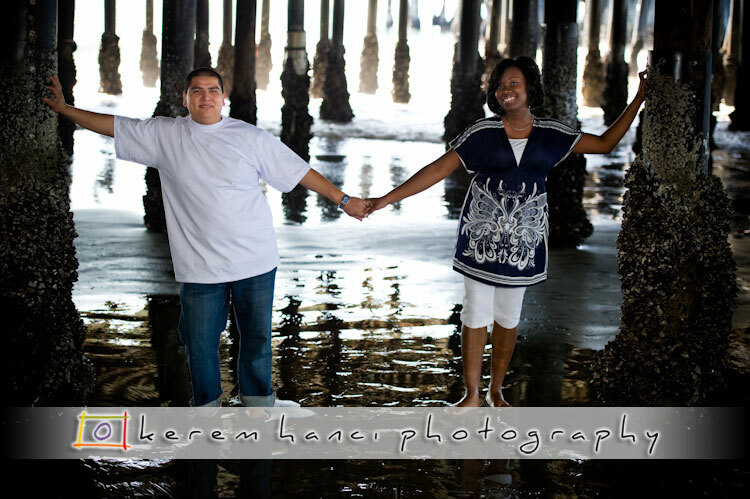 We went under the Santa Monica Pier. We had some concerns about the weather when we first arranged the details of the shoot; it was at the beginning of January and it was raining and cold in Los Angeles. 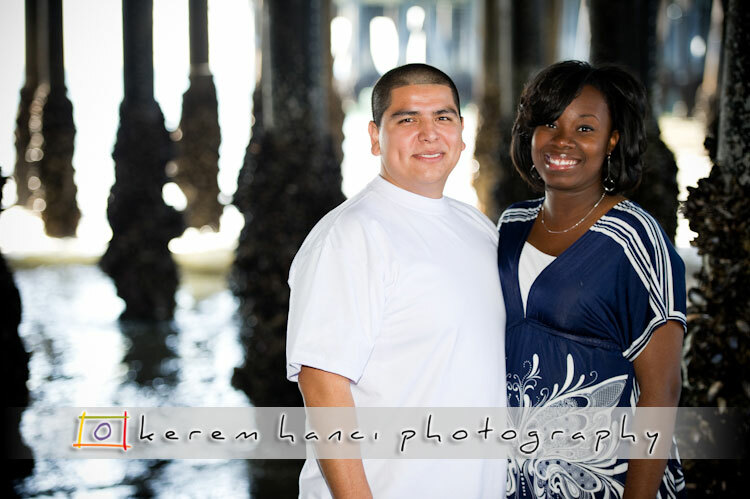 But it was a warm February afternoon, and we enjoyed the cool ocean breeze underneath the pier. We had some fun down there. 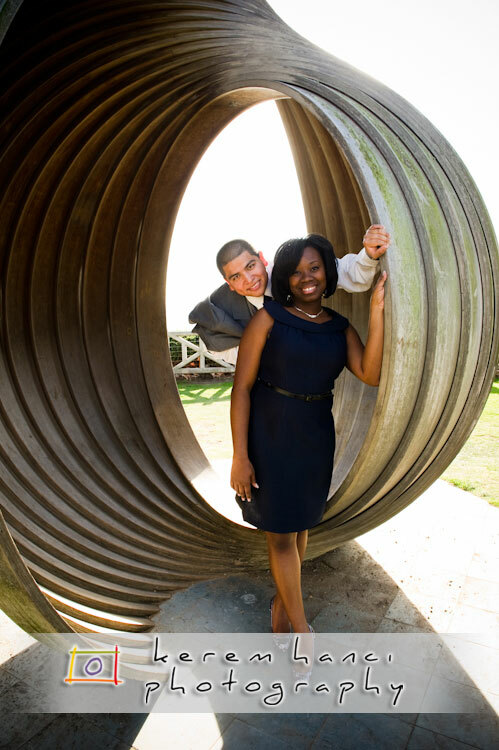 We did a few posed shots and than I let the lovers alone to walk around, talk to each other and goof around. While they were hanging out, I took my long lens and grabbed a few candids. 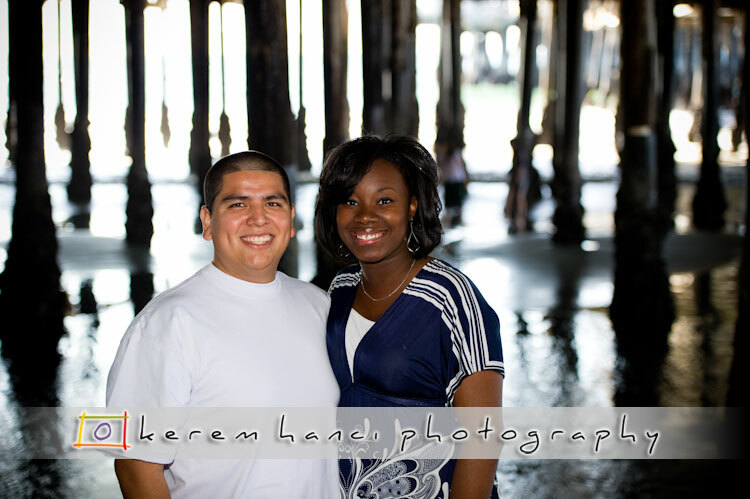 We went on the pier and Ke'Shae and Julio satisfied their sweet tooth with some ice cream. It was the right call on this warm, sunny, gorgeous California Saturday. I had a blast with them within a few hours, I can't imagine how much fun it will be to spend the entire day shooting this young and lovely couple's wedding... I definitely look forward to it! Fun!!! One of my favorite places to shoot. Great work Kerem.